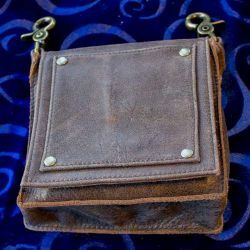 Designed for keeping stuff secured during the fiercest sea storm, this bag is perfect for holding doubloons, jewels, and other less-pirate sundries, like mobile phones. The leather feels soft and sensual inside, while the ruggedness of the brown leather shows the toughness outside. Just like a real Pirate. The outside pocket is lined in leather. The zipper is durable metal. There is also a small inner pocket to hold small items in place. The magnetic snap closure we use to keep this item closed is a Captain's secret weapon. The snap allows the Captain access the bag's content, and more importantly, close the bag securely regardless of the amount of rum consumed. This closure is so strong it seals with a "click" you can feel through your fingers no matter how dark or loud your environment gets. Two sturdy metal clasps allow the bag to be clipped to your belt, or your belt loops. This keeps your treasure safe and close to your belly. 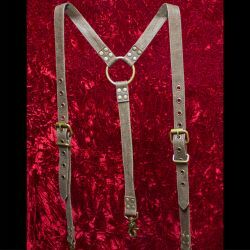 We also offer the option of a matching cross-Pirate strap. 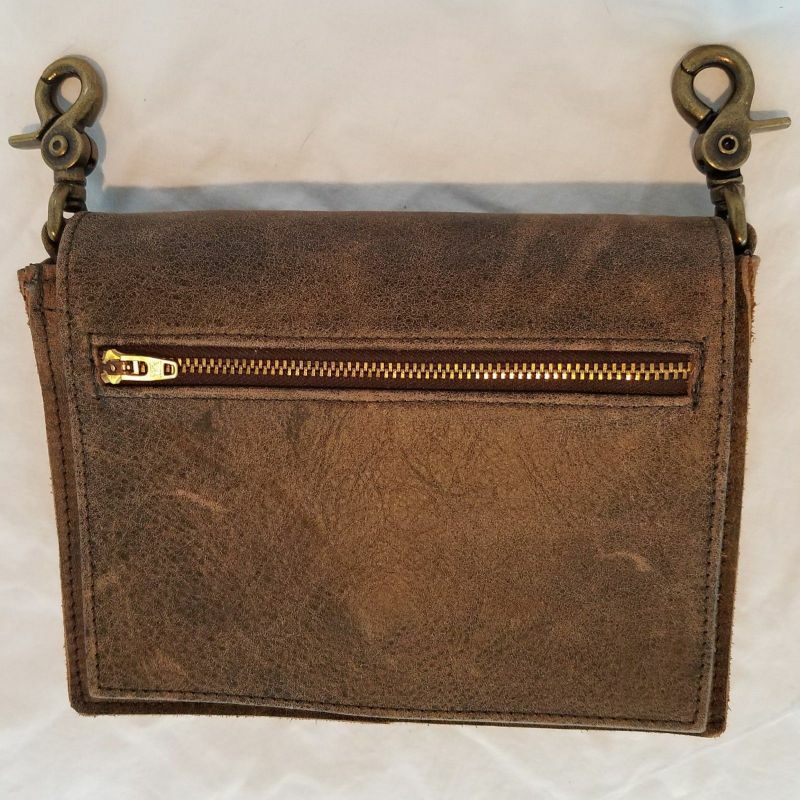 The 58" leather strap connects to the metal clasps on the treasure bag, allowing you to hang the bag from your shoulder in a most formidable fashion. Historically​, Pirates welcome brown leather, but Space Pirates need more options. We offer the bag in eight leather colors. In addition, the zipper is available with silver or antique gold finish. We only use premium full grain leather and durable metal hardware in our bags. Designed and manufactured by hand in our workshop in Las Vegas. This durable bag will last longer than the historical careers of many Pirates.